Created Byhand Challenge | Welcome! Do you like a challenge? Every Tuesday a new theme will be posted featuring a Quietfire Design product! Create paper art with rubber stamps, collage, paint, altered art, mixed media… make an ATC, 4 x 4, card, inchie or whatever you fancy! Add your art to your blog, then post a direct link under the comments section to share with others! Have fun and make art!!! 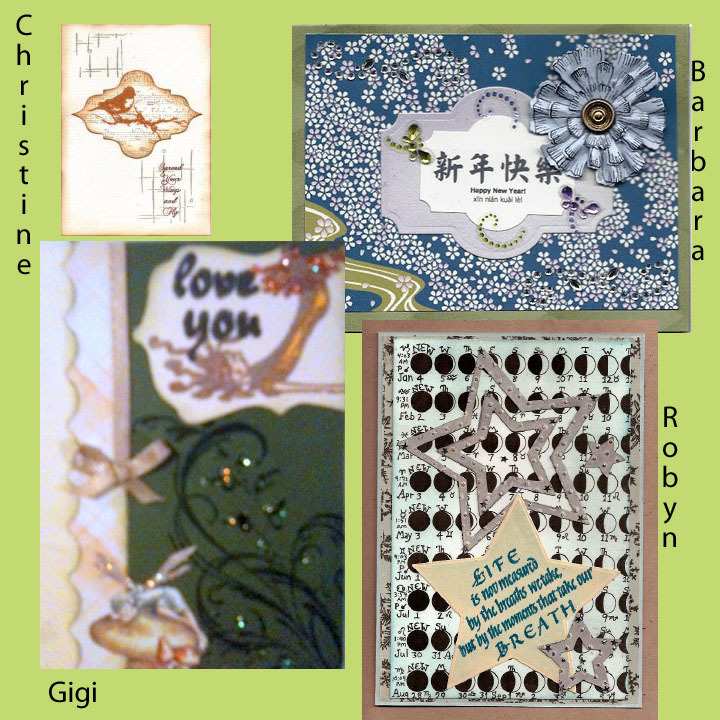 Create art using the theme , “In With The New/ Layered Dies” , in some way, shape, or fashion. Use a word, image, color or feeling to portray the theme. 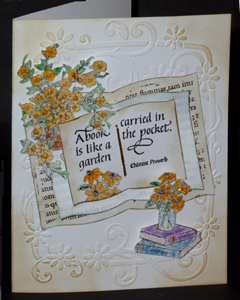 Use collage images, rubber stamps, inks, embellishments, charms, paints, eyelets, ribbons, fancy papers… whatever else you wish to create your challenge. Create a card, ATC, tag, altered art, 4 x 4, skinny (3 x 5 inches), inchies – anything you desire! Post your art to your blog, picture trail or photo sharing site, then post a DIRECT LINK to your challenge art only ,under the comments section to share with others! Have fun and make art!!! (Please include our challenge link on your blog). This week one lucky Challenge participant will receive one Quietfire stamp . The winner will be randomly chosen and posted with the Sampler! Happy creating! New Stamps at Quietfire HERE! 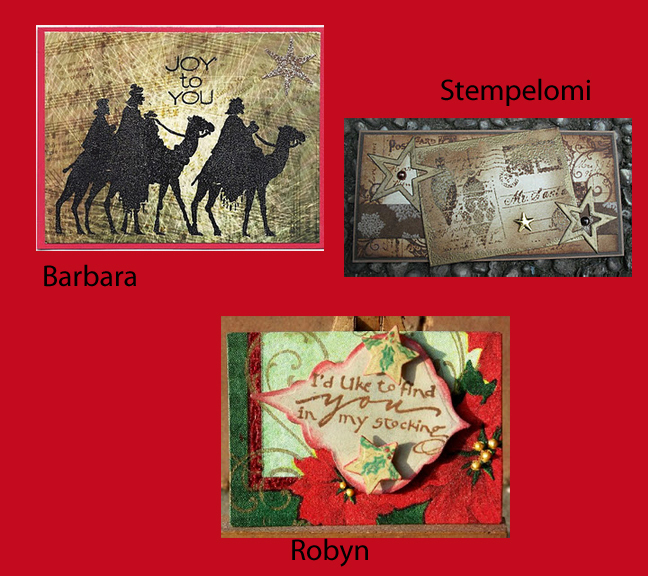 Quietfire Design is now a Preferred Product Partner with Spellbinders Paper Arts! This weeks winner of Quietfire Rubber is Linda! Thanks all for sharing with Created Byhand. 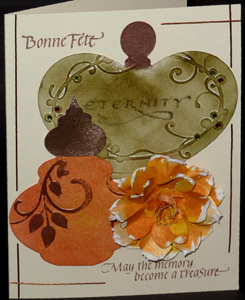 Create art using the theme , “Old With the Old/Flower Die Cuts” , in some way, shape, or fashion. Use a word, image, color or feeling to portray the theme. Use collage images, rubber stamps, inks, embellishments, charms, paints, eyelets, ribbons, fancy papers… whatever else you wish to create your challenge. 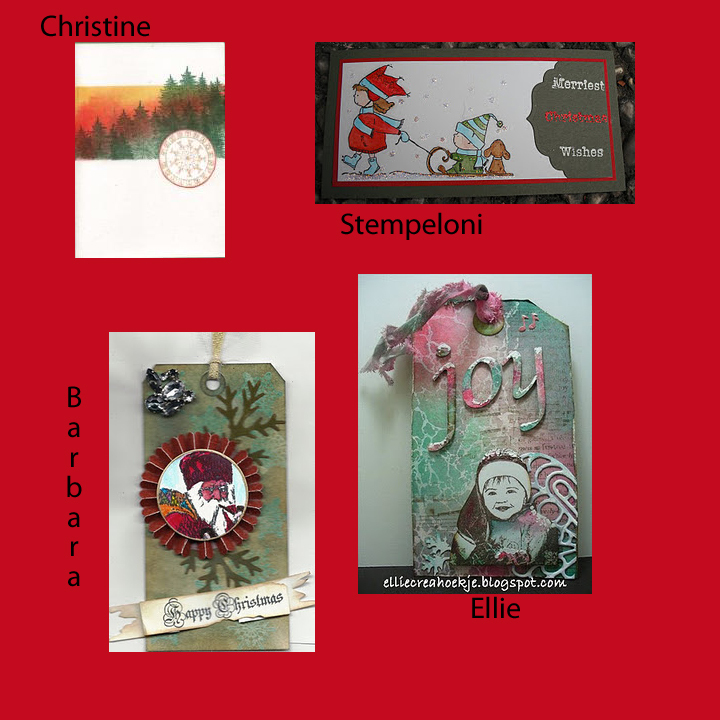 Create a card, ATC, tag, altered art, 4 x 4, skinny (3 x 5 inches), inchies – anything you desire! Post your art to your blog, picture trail or photo sharing site, then post a DIRECT LINK to your challenge art only ,under the comments section to share with others! This weeks Rubber Winner is Ellie! Please send your mailing info. Thanks all for creating with Created Byhand! 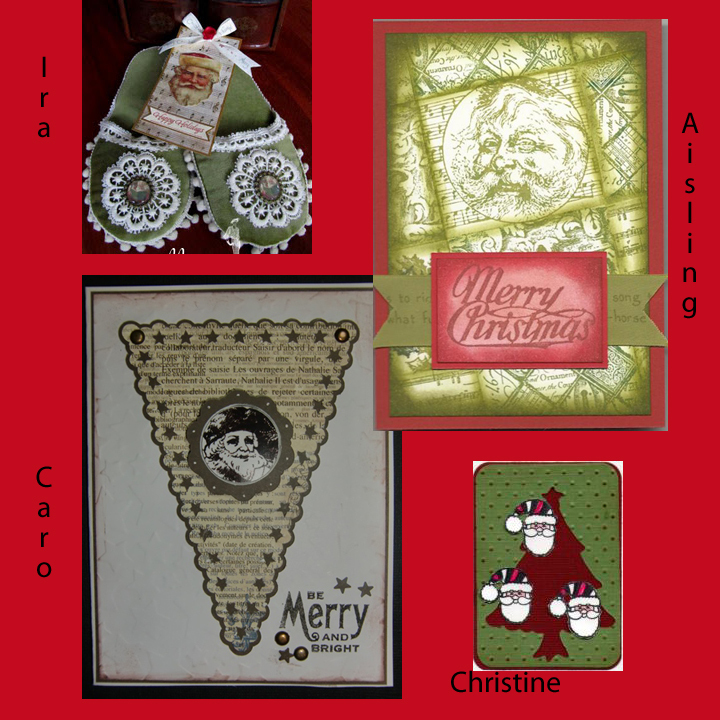 Create art using the theme , “Christmas/Red and Green” , in some way, shape, or fashion. Use a word, image, color or feeling to portray the theme. Use collage images, rubber stamps, inks, embellishments, charms, paints, eyelets, ribbons, fancy papers… whatever else you wish to create your challenge. Create a card, ATC, tag, altered art, 4 x 4, skinny (3 x 5 inches), inchies – anything you desire! Post your art to your blog, picture trail or photo sharing site, then post a DIRECT LINK to your challenge art only ,under the comments section to share with others! This weeks Quietfire rubber winner is Stempelomi. Please send us your mailing contact info. 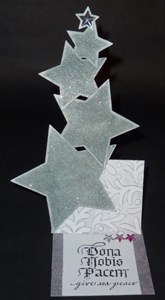 Create art using the theme , “Light/ Star Die Cuts” , in some way, shape, or fashion. Use a word, image, color or feeling to portray the theme. Use collage images, rubber stamps, inks, embellishments, charms, paints, eyelets, ribbons, fancy papers… whatever else you wish to create your challenge. 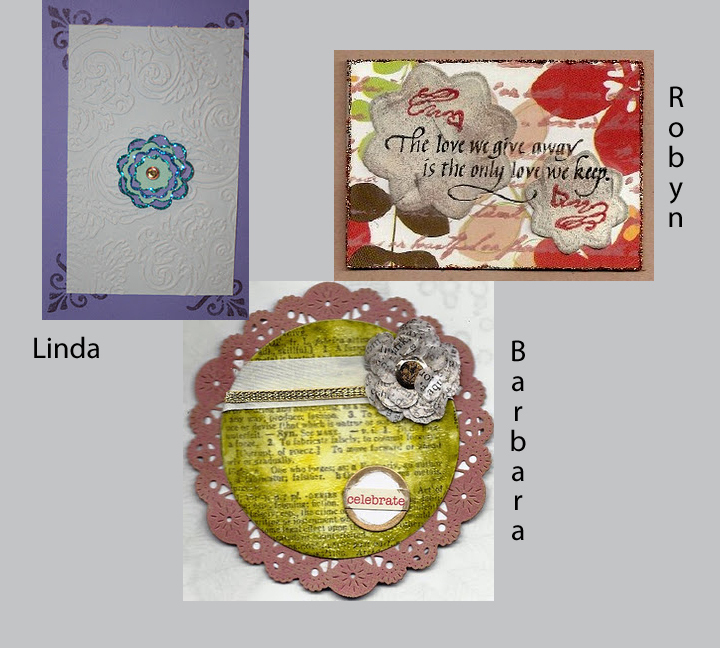 Create a card, ATC, tag, altered art, 4 x 4, skinny (3 x 5 inches), inchies – anything you desire! Post your art to your blog, picture trail or photo sharing site, then post a DIRECT LINK to your challenge art only ,under the comments section to share with others! This weeks winner of free Quiefire rubber is Ira! Please send us your mailing info. 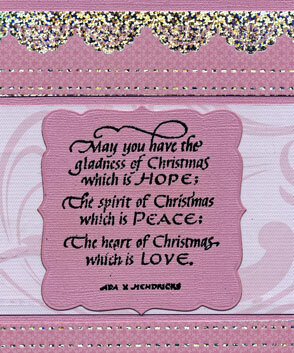 Create art using the theme , “Dear Santa/Ornament Die Cuts” , in some way, shape, or fashion. Use a word, image, color or feeling to portray the theme. Use collage images, rubber stamps, inks, embellishments, charms, paints, eyelets, ribbons, fancy papers… whatever else you wish to create your challenge. 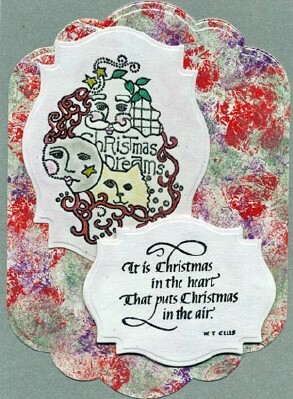 Create a card, ATC, tag, altered art, 4 x 4, skinny (3 x 5 inches), inchies – anything you desire! Post your art to your blog, picture trail or photo sharing site, then post a DIRECT LINK to your challenge art only ,under the comments section to share with others!